A man and woman were injured following a crash near the Brockton Golf Course on Saturday afternoon. The call for help came in around 3:00 pm. Brockton Police and EMTs were dispatched to the scene. Upon arrival, they found a man and woman suffering from serious injuries and a downed tree nearby. Medical aid was administered to both patients on the scene of the crash. Later, a medical helicopter was called in to transport the man and woman to the hospital. The woman has serious leg injuries sustained in the crash. Witnesses described her as lying on the ground screaming but unable to move. The passenger was also injured in the collision but there is no word on his condition. Neither party has been identified. Brockton police continued their investigation on scene and noted that the woman was traveling in a Nissan Pathfinder. When she tried to stop, her brakes did not work and she lost control of the car. As the car continued to spiral out of control, she eventually crashed into the large tree near the golf course entrance. The investigation remains ongoing. Accidents happen when we least expect them. One minute you can be out leisurely driving and the next can be in a hospital with serious injuries as we see here. There is no way to predict when an accident will occur or plans for its effects. However, if you have been injured in an accident with serious injuries, it is not the end of the world. You need to see the services of a competent injury attorney immediately. 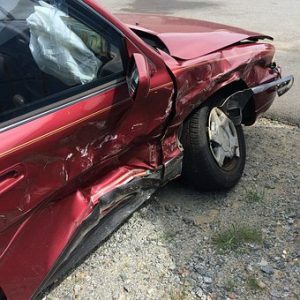 At the Law Offices of Jeffrey S. Glassman, we focus our practice on personal injury and have experience in accidents involving all types of vehicles and circumstances. Our team of attorneys knows how to help if you have been injured in a Boston car accident. Insurance companies will want you to resolve your claim without obtaining an attorney so that they can save money. You need a lawyer for this type of case. If you would like to speak with someone about your potential claim, please give us a call at 617-367-2900. The call is free and we would love to hear from you.